For decades, I’ve been etching copper, brass and nickel-silver with ferric chloride (FeCl3), an industrial ferrous salt normally used in water purification and sanitation. 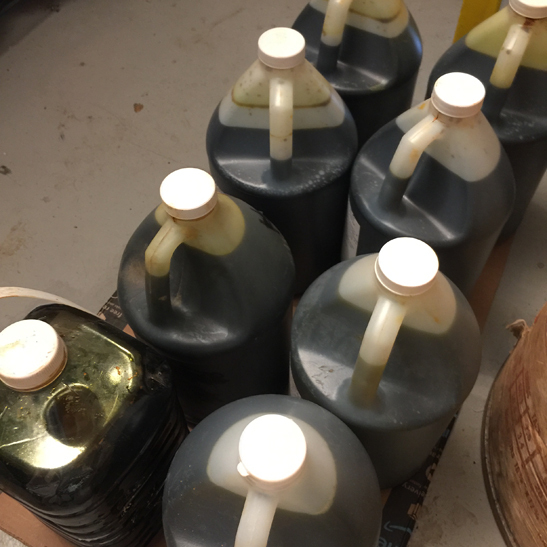 If you’re using ferric chloride, you may wonder how you can tell if it’s exhausted. How often you etch, which alloys you etch, and how large your metal pieces are all affect how long the etchant will last. 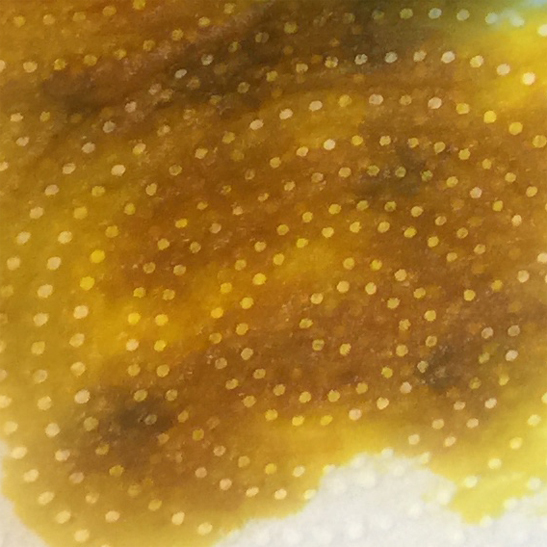 The first clue that the etchant is approaching the end of its usefulness is that the pattern you’re etching will be shallow, meaning that etching process will take longer and longer as the ferric chloride gives up the ghost. Nickel-silver presents an interesting side effect when the ferric chloride is exhausted. When you pull the metal out of the etching tank, it will be coated in a brown film. This film acts as a resist and the piece will never etch without the coating being removed, and then re-etching the metal again in a fresh tank. Of course, we don’t want to waste a piece of metal and all the time to prepare it only to have our exhausted ferric chloride let us down. 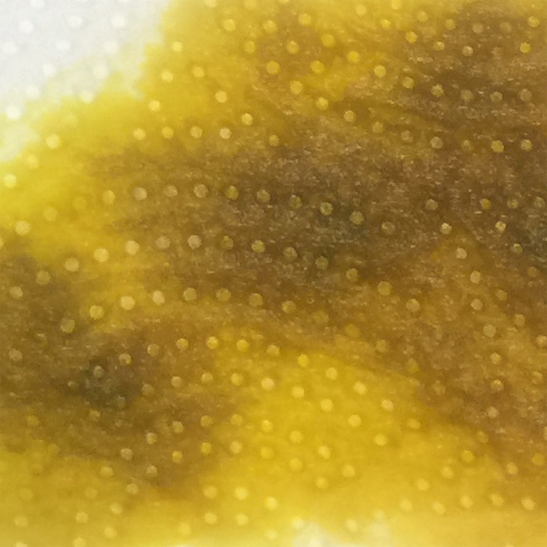 Another good way to test the ferric chloride is to judge the color. 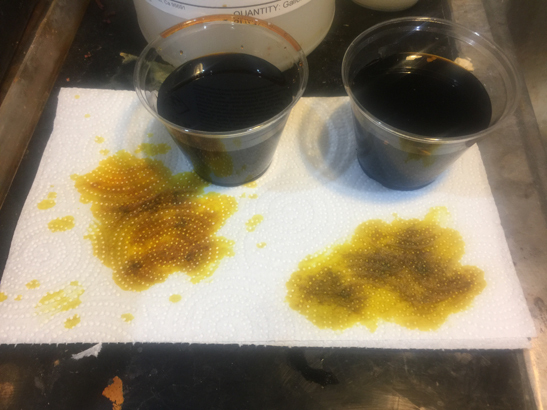 From the accompanying photos you can see that new and exhausted ferric chloride look very similar, but study the pictures closely and you’ll note that there is a slight difference in the overall yellow tone. The new liquid is a reddish/yellow, while the old, used up liquid is a greenish/yellow. The cup on the left contains new, unused ferric chloride. The greenish/yellow liquid on the right is headed for the dump.